Who is behind Awesome Adelaide? Awesome Adelaide is proud to announce as the recipients of the March 2015 funding round the incredibly awesome Alex Bishop-Thorpe and Aurelia Carbone from The Analogue Laboratory (housed at The Mill) for their project to “Make Better Magic”. Over the past 2+ years Alex and Aurelia have undertaken the enormous task of setting up and establishing a working public darkroom for budding and established analogue enthusiasts. The duo run a series of highly successful photography and development training workshops, providing the tools and chemistry to rent for those who just like them, like to make things – especially those kinds of things that are best created under the soft hues and acrid smells of a blackened out darkroom. The funding awarded by the Awesome Foundation will allow them to bolster their not-for-profit creative space by enabling the purchasing of a much needed ventilator so they can work with a greater variety of chemicals. This will take The Analogue Lab to the next level of awesome. Also planned is the construction of a light table; enhancements to the electricity system; and work on creating a better film cutting space. The team at Awesome believe that The Analogue Laboratory is an awesome initiative not only because of Alex and Aurelia’s clear deep-seated commitment and compassion for the development of all things analogue, but also because of how this commitment and compassion feeds into and enhances the community around them, therefore making South Australia in general just THAT much awesome as a result! As Alex summarises on the beauty and significance of keeping what is widely considered to be a dying form of creative practice alive (and printing! ): “Photographs are objects. They are fragments of the world and acquire rips and tears and stains and abuses as they move through the world as well… Photographing landscape, or photographing yourself in a particular space and then seeing that space through a physical image is so important. You interact with it differently, it has a connection to the body and an impact that just doesn’t occur in our predominantly digital landscapes these days. Unless the photograph is real, you don’t connect into it in the same way and this is why I have to be in a darkroom. Otherwise it doesn’t make any damn sense!” – We agree Alex, and we support your and Aurelia’s awesome! The Analogue Laboratory is based The Mill complex at 154 Angas Street, Adelaide, South Australia. 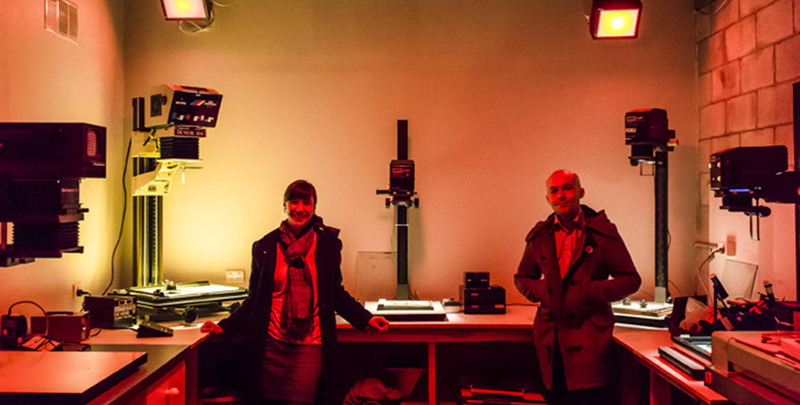 They offer darkroom hire and a range of workshops with no previous training required. More info about how to apply and what courses are available here. This month, we want to know what $1000 is worth to you!